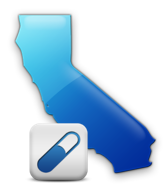 Start e-Prescribing in California Today! Starting January 1, 2022, California will require prescribers to electronically send all prescriptions. However, prescribers are encouraged to start utilizing e-Prescribing software now. MDToolbox is an approved vendor in California and our e-Prescribing software, MDToolbox-Rx, meets all of the requirements for e-Prescribing and EPCS. Use the form to sign up today and get your first 30 days of e-Prescribing free! Enter your Company/Practice name and info below and we will email you both a Pricing/Info Sheet and a link to get your account started! Please Note: Trials will only be granted to Licensed Medical Providers/Practices/Facilities-We will validate your company and identity prior to granting trial. Oops! That answer wasn't correct, please try again. In September 2018, Governor Jerry Brown signed into law AB 2789 which states that beginning January 1, 2022 prescribers must e-prescribe all their prescriptions with few exceptions. This includes both controlled and non-controlled prescriptions. Currently, if prescribers choose to write any Schedule II through V controlled substance paper prescriptions, they are required to use tamper-resistant prescription forms ordered only from state-approved security printers. The Controlled Substance Utilization Review and Evaluation System, or CURES 2.0, is a database of Schedule II, III and IV controlled substance prescriptions dispensed in California. As of October 2, 2018, California licensed prescribers are required to check CURES before prescribing a Schedule II-IV drug and at least once every four months thereafter if the substance remains part of the treatment of the patient. With MDToolbox, you get a link to CURES from right inside the prescripton writer. We make it easy to remember to check and document that you checked the PMP.